Our Toronto dentists offer a comprehensive range of general and restorative dentistry services, as well as oral surgery and gum therapy. We'll help your whole family achieve and maintain healthy, beautiful smiles for life. Our dental office is devoted to general and family dentistry. As your primary dental care provider, we are responsible for the general diagnosis, prevention, treatment, and management of a wide range of dental conditions, disorders, and diseases that affect the teeth, gums, jaw, and face. Dental care for the whole family. Learn about our children's services. Dental Anaesthesia Associates provides a wide range of restorative dental treatment options to repair teeth that have been damaged by injury or dental decay. Whether your need a dental filling to repair a cavity, or require tooth replacement options to fill the gaps left by missing teeth, we can help. 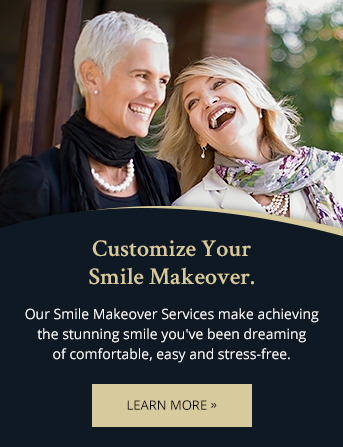 Feel renewed confidence in your smile with cosmetic dental treatment. Gum disease is the inflammation and infection of the gums and the surrounding tissue, and is generally caused by bacterial plaque. It is the biggest cause of adult tooth loss. Fortunately, the dentists at Dental Anaesthesia Associates can help with a variety of non-invasive gum therapy treatment options. Feeling axious? We can help with sleep and sedation dentistry. In some cases, more invasive procedures are necessary to preserve the health of a patient's smile. If you need a tooth extraction or a dental implant, we can provide these procedures with the help of sleep dentistry. Whatever dental procedure you need, the team at Dental Anaesthesia Associates will make sure your experience is comfortable and stress-free. We provide the full spectrum of sedation services within our practice for those who may desire this service. This has proven extremely valuable to those with dental fear and anxiety or extensive treatment needs. Nervous about visiting the dentist? We can help. Our dentists can take the stress out of your next appointment with a range of sleep and sedation dentistry options.